We go about our daily lives, for years, not thinking twice about the impact the environment is having on our skin. Then, one day – bam! Just like that, we look in the mirror and we have aged. Whether it’s our neck (jowls), face, hands, or other parts of our bodies, we just do not look the same. There are many causes to environmental skin damage such as excess sun exposure, unhealthy diet & skin damage, cigarettes and alcohol, repetitive face movement, and chemical irritants. The sun gives your skin a nice warm feeling that we enjoy and crave, whether we are at the beach, doing outdoor activities, or just driving around. However, that same radiant heat causes rapid aging of multiple skin layers. It also causes a decrease in collagen production that affects the elasticity the skin has. 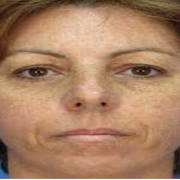 This combination causes fine lines and wrinkles to form along with hyperpigmentation. The sun’s beams bring out a chemical in your body associated with melanin that will darken your skin resulting in sun damage. The skin is the largest organ in the body and is affected by everything around it. This includes when we have an internal imbalance. Pollutants in the air, lotions, clothing detergents, soap, smoke, exhaust fumes, and other things have harmful chemicals that cause skin issues. Always have a diet that includes fruit and vegetables that can help to combat free radicals along with drinking plenty of water on a daily basis. The good news is there are treatments to help reverse the damage that has been done. The technology improves constantly by leaps and bounds. But the best and most effective treatments use laser technology. The best and most powerful laser on the market is the Sciton and the BBL treatment to remove sun damage, pigmentation, and fine lines and wrinkles. If you’re ready to bring your skin back to its youthful glow, book an appointment today with Vivia for your Sciton treatment! Enjoyed this blog? You may also be interested in https://viviacenter.com/what-is-an-age-spot/. Are you noticing a few wrinkles on the horizon of your smile or eyes? If you are contemplating a skin tightening treatment, your timing is perfect! There are plenty of non-surgical options out there to assess. If you seek a noninvasive option, consider techniques using radio frequency to tighten loose or sagging skin. This type of treatment uses radio frequency (RF) energy to stimulate and increase collagen and as a result can dramatically reduce the signs of aging. The process heats up the collagen in the lower layer of the skin (dermis), causing the collagen fibers in the skin to contract. This contraction of the fibers pulls the skin tighter and giving it a healthier appearance. In less than a decade, numerous radio frequency-based devices have surfaced in the medical cosmetic industry as a popular alternative to cosmetic surgery. Let’s compare two leading skin tightening treatments, Endymed vs. Thermage, and you decide. Thermage® was the first RF-based device to gain FDA approval and has the longest track record on the market, starting in 2002. Its newest product, Thermalift, uses a computer controlled handheld device that provides a pulse of heat directed underneath the skin to start the collagen remodeling process. All metal jewelry must be removed as it could cause interference with the radio frequencies. There is no pain after the treatment and you can return to normal activities immediately. Results happen over the course of two to three months after the initial visit, and you can see a gradual improvement for up to a year. EndyMed Pure®, The 3DEEP Company, also uses Radio frequency (RF) technology and made its debut in 2009. The procedure safely heats the collagen in the skin using a hand-held laser to deliver sufficient energy to the target areas. The treatment triggers the process of new collagen production, leading to a significant change in skin appearance. The treatment takes only about 30-40 minutes, but multiple visits may be required to achieve desired result. The temperature of the skin is monitored closely and some patients have described it equivalent to a hot shower. The EndyMed Pure® procedure is quick and painless and requires no downtime. You may resume normal activities immediately after treatment. Both Thermage® and EndyMed Pure® are safe and painless cosmetic therapies designed to tighten loose skin using radio frequency. Still not sure which treatment you should do? Contact Vivia Center to set up a free skin consultation where our skincare experts will help you decide on Endymed vs. Thermage. What are you waiting for? Enjoyed this blog? You may also be interested in https://viviacenter.com/how-does-thermage-work/. The Fraxel laser penetrates the skin with a microscopic laser column, less than the diameter of a hair follicle, which triggers a response in the body to naturally repair the tiny wounds. The body’s natural healing process accelerates the production of collagen and healthy new skin cells. Your body is creating new skin from the inside out. When you arrive, the clinical technical will clean the treatment area and apply a cream to desensitize the treatment area, which can take up to an hour. After the cream takes effect, the cream is removed and the procedure begin. Each case is different, but generally patients feel a “pins and needles” sensation during the procedure. The treatment itself takes about 20-30 minutes, not including the numbing period. Immediately following the procedure your skin will feel and look red, similar to a sunburn. To help ease discomfort, ice packs can be used for a duration of 10 minutes at a time. We also recommend arnica gel that we can provide for better healing. The redness will subside over the course of 2-5 days and patients can resume normal activities and even wear make-up. If you plan to have the treatment for a special occasion like a wedding or family reunion, plan the procedure at least 2-3 weeks in advance. If you’re ready to try the Fraxel laser treatment for stretch marks, wrinkles or skin pigmentation, or if you just want more information on what Fraxel treatment is, visit Vivia Center in McLean, VA for a FREE skin consultation and look younger this summer! Enjoyed this blog? You may also be interested in https://viviacenter.com/what-causes-skin-damage/. After alternatives to shaving were introduced in the late 1990s, people have wondered which hair removal treatment was right for them: laser hair removal or traditional shaving? Vivia Center breaks down the pros and cons of both. Are you struggling with hair loss or thinning hair? There is now a non-surgical option available, Platelet Rich Plasma (PRP) therapeutic hair restoration. Current research shows this procedure to have promising potential for new hair growth. Effective for both male and female pattern hair loss, PRP Therapy has also regrown hair in alopecia areata patients and other common non-hereditary hair loss cases. So, how does this work? Basically, PRP stimulates newly implanted or inactive hair follicles with a small injection under the scalp. Using a small amount of the patients own blood, it is processed or ‘spun down’ to create a serum. Blood contains small cells called platelets, that contain a specific growth characteristic that when activated will promote tissue regeneration. This serum is then injected into the areas of thinning hair. No sedation or medication is required for this procedure. PRP is an all-natural medical therapy performed by a doctor as an out patient procedure. The recovery from PRP Therapy is typically uneventful. Some patients experience mild swelling of the forehead but subsides within 48 hours. There is no downtime with this procedure so patients can go back to normal activities immediately, including washing their hair after the procedure. PRP Therapy was recently showcased on Good Morning America in a segment about hair loss for women. Of course, PRP is not a cure for baldness, but it certainly shows promise for those with thinning hair. Individual results will vary based on factors of hereditary baldness, or other medical conditions that contribute to hair loss. Do you think you are a candidate for PRP Therapy? Do you find yourself asking “PRP therapy for hair loss: does it work?” Schedule a free consultation with Vivia Center today to find out and to learn more about how this therapy might benefit you. Enjoyed this blog? You may also be interested in https://viviacenter.com/what-is-a-liquid-facelift/. IPL (Intense Pulse Light) Skin Rejuvenation treatments gently stimulate the growth of new collagen so your skin will look plumper and hydrated for a more youthful look. The increased collagen in the dermis (top layer of skin) holds the skin firmer lessening the appearance of fine lines, wrinkles, and open pores. How does an IPL Skin Rejuvenation treatment work on sun and age spots? Sun, liver and age spots are on the surface of the skin, often the face and hands. They are caused by excess concentration of melanin in the area. During the IPL treatment, the melanin absorbs the light energy and heats up while the surrounding skin remains cool. This rapid heating helps break up the concentration of excess melanin into smaller particles that then dissipate over the next several days through the skin’s natural process. Imperfections are then reduced and the skin texture and tone are improved by increased collagen production. How can I increase the effectiveness of IPL treatments? Getting a series of peels after your IPL treatments will continue to reduce pore size, skin discoloration, fine lines, and will improve your overall texture resulting in a more luminous glow. Looking for a similar treatment? Consider enhanced skin rejuvenation at Vivia Center. If you want to know more about what IPL is, contact us to schedule your appointment today. Enjoyed this blog? You may also be interested in https://viviacenter.com/fraxel-laser-treatment-for-stretch-marks/. These days the term “anti-aging” is practically a household word as more and more products and procedures slow and even reverse the aging process. From skin care products to injections, there is something for anyone wanting to erase the tell-tale signs of growing older. While wrinkling and photoaging are two of the most common complaints, vascular skin conditions are an embarrassing problem, too. Spider veins and broken capillaries on the face and legs, as well as varicose veins, can be hard to camouflage. Many women feel they have to give up wearing fashionable dresses and shorts for good. Fortunately, that’s not the case, as you’ll soon discover. In some instances, there are steps you can take to prevent vein problems. Limiting sun exposure and watching your weight are two ways you can greatly reduce your risk of spider veins. However, problems caused by hormonal changes during pregnancy and menopause, and your genetic disposition, are incidences you have little control over. Unsightly and painful veins can be removed by a variety of treatments. Vein stripping is a surgical procedure used for large, corded, bluish varicose veins sometimes seen in the legs. These veins can cause tremendous leg pain and fatigue. During surgical removal, a physician makes incisions in the leg and “strips” or pulls out the vein. Soon after surgery, you’ll need to walk around to encourage proper blood flow. Most likely you’ll be given pain medication afterward and then need to return for follow visits. Your doctor will check your wounds and blood flow. Pressure stockings are a part of the recovery process as they help prevent swelling and bleeding in the legs. For spider veins, sclerotherapy is one option. In this procedure, a salinate chemical is injected into the veins. This chemical irritates the walls of the vessel causing it to collapse. After some time, the vein becomes scar tissue and the body reabsorbs it. The affected veins virtually disappear. After the procedure, the area is often red and swollen and slight bruising may be apparent for a few weeks. Tensor bandages or compression stockings may be necessary for several days. Laser vein removal incorporates laser technology to provide a safe, effective, and non-surgical solution to spider and varicose veins. Rather than invading the skin to reach the vessel, the laser targets only the vessel while bypassing the skin. Pulses of light emitted by the laser are absorbed by hemoglobin in the blood. This causes the vessel to clot or coagulate and is later absorbed by the body. Side effects such as discoloration and ulceration are greatly diminished with the latest in laser technology. With laser vein removal, rapid healing with minimal side effects can be expected. Some patients experience reddening of the skin, bruising, and occasionally blisters. These conditions are temporary and subside over a couple of weeks to a couple of months. 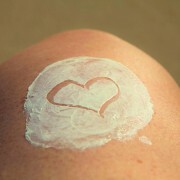 After treatment, sun exposure should be limited to short periods of time with a sunscreen. It’s not a painful procedure and is often described as feeling like snaps of a rubber band. Valium may be prescribed to make you more comfortable. If you’re looking for an answer to your spider or varicose vein problems, Vivia Center can help. With our laser vein removal treatments, you can expect marked improvement (sometimes up to 70%) after one to two treatments on the face and three to four treatments on the legs. Contact us to set up your appointment today. Enjoyed this blog? You may also be interested in https://viviacenter.com/summer-skin/. Say goodbye to your razor and kiss your tweezers goodbye. If you would love your skin to be as smooth as silk, there’s a way to make it happen. But before you sign up for laser hair removal, there are 7 important facts you need to know. Here are the answers to your top 7 laser hair removal FAQs. If you have dark hair and light skin, the answer is yes. 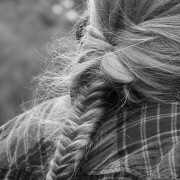 People with blond or gray hair don’t get as good results. The same goes for dark or tanned skin. In these cases, lasers tend to cause discoloration unless the instrument used is designed specifically for dark skin. Pulses of light emitted from the laser targets the melanin pigment of the hair. The pulsing lasts only for a fraction a second, just long enough to disable the follicle, but not long enough to burn your skin. The melanin, or dark pigment, is broken down and destroyed. This is why lasers are only effective on dark hair and why lasers cause discoloration on darker skin. After 10 to 14 days of your laser treatment, the hair begins to fall out. You can help the process by washing with a mild exfoliate around the 10th day. What areas can be treated with a laser? Because several follicles are targeted at once, it’s possible to treat large areas such as the back, chest, arms, and shoulders. Lasers can also remove the hair on the upper lip and chin. It can take up to six sessions every four weeks to see an 80% reduction in hair growth. You may need to get maintenance treatments once a year for a couple of years at least. Is laser treatment guaranteed to work? Some people see better results than others so, no, the results aren’t guaranteed. You can, however, expect an 85% hair reduction. It’s impossible to know for sure the hair re-growth rate of anyone. Some people never have to shave again while others experience some re-growth after several months. As technology advances the resulting rate is sure to improve. There is some mild discomfort associated with laser hair removal. The pulse light has been described as feeling like you’re being popped with a rubber band. Some areas hurt more than others. Experts advise taking an over-the-counter pain reliever before the session begins. Lasers are safely and accurately used for many medical procedures and have been for many years. Though there is some discomfort, it’s usually mild and doesn’t last long. 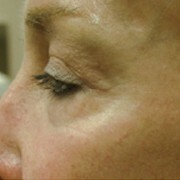 The targeted areas may show redness immediately following treatment. We hope we answered your top laser hair removal FAQs. You can find out more about laser hair removal at the Vivia Center for Cosmetic Therapy. Their qualified team will be happy to answer any concerns you may have about the laser process.